Nancy S. Gibbons 90, Rochester, Indiana, passed away at 6:35 P.M. Thursday June 28, 2018 at Life Care Center of Rochester. She was born on November 14, 1927 in Culver, Indiana, the daughter of James W. and Bernice Helen (Claunch) Mow. 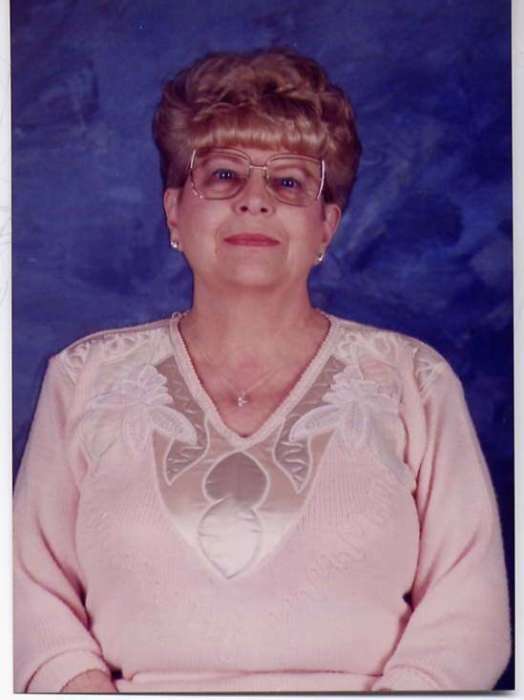 Nancy had worked in the X-Ray Department at Woodlawn Hospital for over thirty years. She had been a member of the Rebekah’s Lodge and had attended the First Christian Church. In her spare time she enjoyed ceramics and sewing. Over the years, she had made doll clothes and costumes for numerous dance recitals. Survivors include her sons, David Gibbons, Rochester, Indiana, Michael and wife Theresa Gibbons, Rochester, Indiana, grandchildren, Corey and wife Brenda Gibbons, Frankfort, Indiana, Jessica Gibbons, Bainbridge, Indiana, Jason Gibbons, Rochester, Indiana, Jada Miller, Kokomo, Indiana, Aspen Brown, Rochester, Indiana, Candy and husband Adam Bowman, Littleton, Colorado, Crystal and husband Jason Jersey, Littleton, Colorado, Heather Nicole and husband Marcus Miller, Middleburg, Florida, Charles Michael and wife Kayla Gibbons, Rochester, Indiana, seventeen great grandchildren and one great –great grandchild, brother, Arthur D. and wife Joan Mow, Cape Corral, Florida. She was preceded in death by her son, Timothy Lee Gibbons, daughter, Susan M. Miller, sisters, Shirley Dusek and Phyllis Mow, brother, James L. Mow.